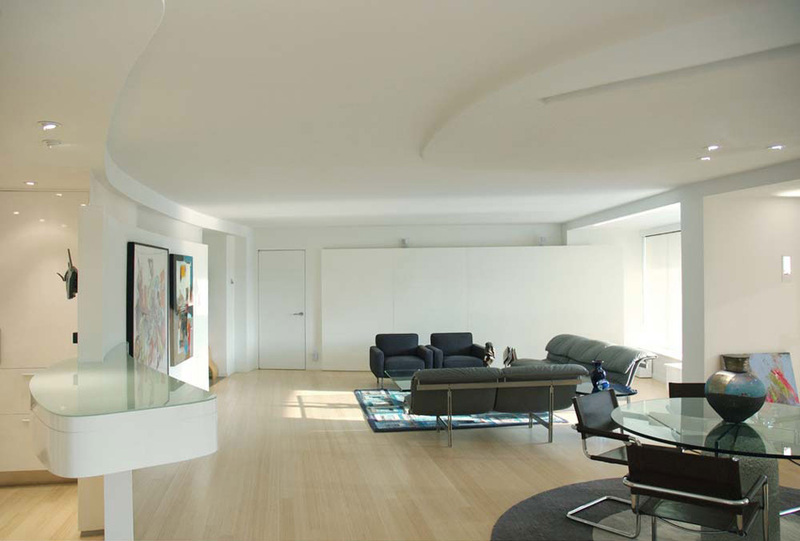 The organic curves of the exterior of the Watergate buildings influenced this apartment renovation on the eleventh floor. The architects played with scale and materials; two identical apartments were gutted completely and combined to create one fluid space. Additions to the ceiling make the low ceilings feel higher. A palette of different materials adds to the sensuous curves that were created; the walls are covered in fabric in contrast to a shear curtain that separates the dining room and kitchen. 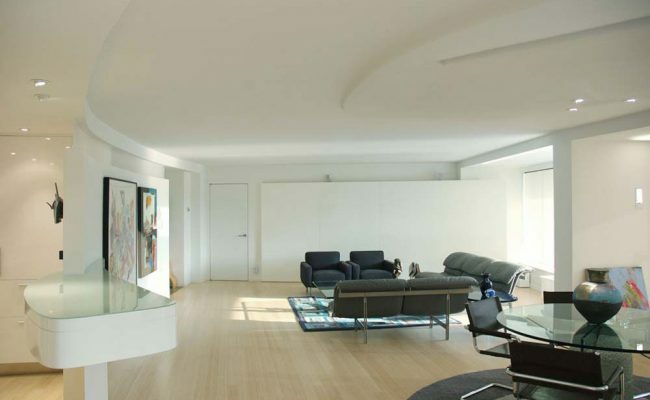 The project was designed for a couple moving from a large house; the architect created one large volume that could be subdivided into smaller spaces. 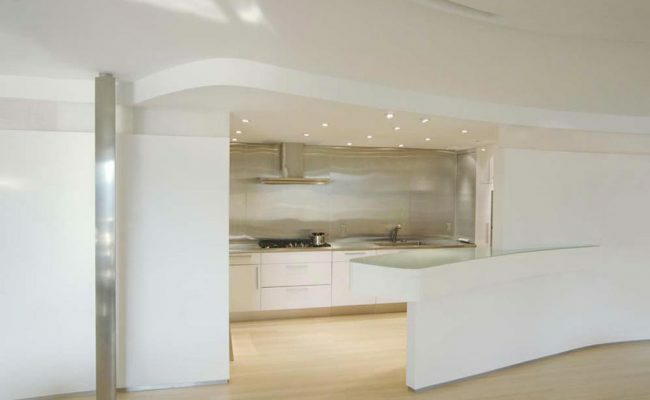 The kitchen is fully integrated into the main living space, yet maintains a degree of separateness. The dining space, with its sheer curtain, creates another layer within the volume. Translucent panels just below ceiling height bring additional light and connectivity to the den. The design also takes cues from the Luigi Moretti designed Watergate, completed in 1971. 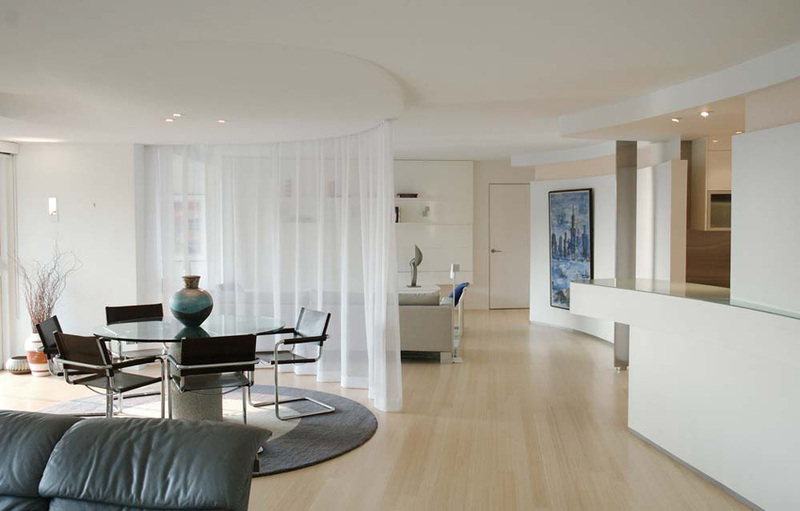 The complex was originally designed to curve toward the Potomac; this Watergate apartment faces the river and curves the same fashion towards the stunning view. Although the maximum ceiling height that could be achieved in the apartment was eight feet, the ceiling in the dining space was dropped to give the illusion of height. 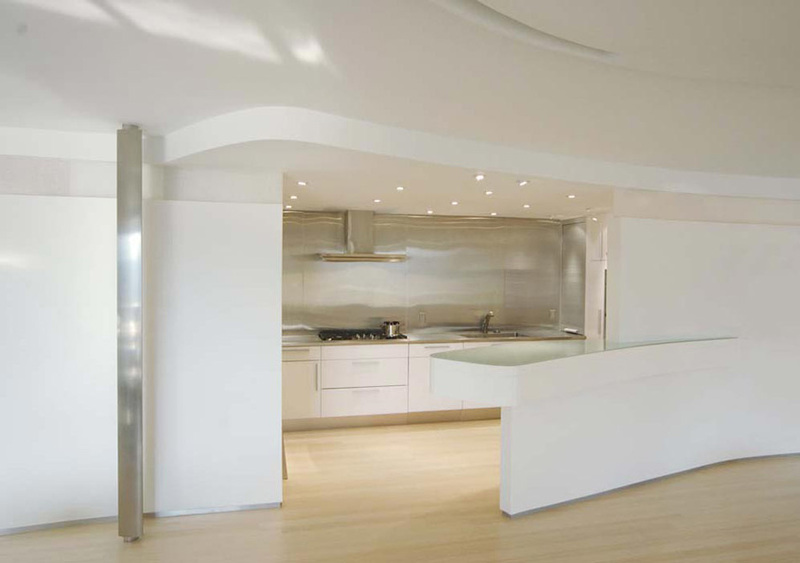 Its sensual curves add to the perceived height of the space. By creating multiple layers and fluid shapes, the apartment possesses a sense of grandeur befitting one of Washington’s premiere addresses.